Neeraj Kumar Sundriyal from Dehra Dun, BCA Graduate. Neeraj Kumar Sundriyal is Developer As Fresher and currently have no work experience. JAVA NET BEANS 7.2 CORE JAVA OOPS CONCEPTSJAVA OPERATE ALL WINDOWS ..
are one of expert skill area's of Neeraj Kumar Sundriyal . 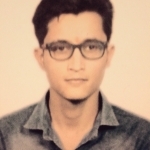 Neeraj Kumar Sundriyal is working in IT Software industry.